This week, I played against Sheridan’s Legion. Sheridan was running Thagrosh2, two Sytheans, a Seraph, an Angelius, two Shredders, a Raek, two Forsaken and a Shepherd. So, no game last night. 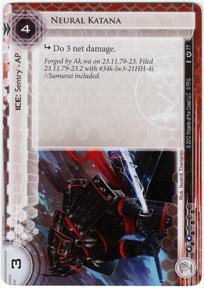 I ran a demo for some new comers, and got a few half-games of Netrunner in. Jinteki hurts. A lot. I’ve signed up for a tournament next weekend. Not my usual bag, but there’s a best Painted Army award, so I’m after that, primarily. I’ll take any wins I can get, but not going to focus too hard on that. This means I *must* get the WGI and Joe polished off, and get the snow effect done on all the bases by next weekend. Essentially, everything I skipped to get ready for Templecon. Wish me luck. Stay tuned throughout the weekend for updates. [Jr 2014] Behemoth Pose Complete! This is all I was able to accomplish. It seems like very little, but getting the pose finalized is a big step in my process. All that’s left to do is build the tracks for the guns and build him a neck, and I’m ready for paint. Also, I love how disproportionately large his hands turned out. Oversized hands is one of the things I like about Legion of Everblight, so it’s fun to see it here to.